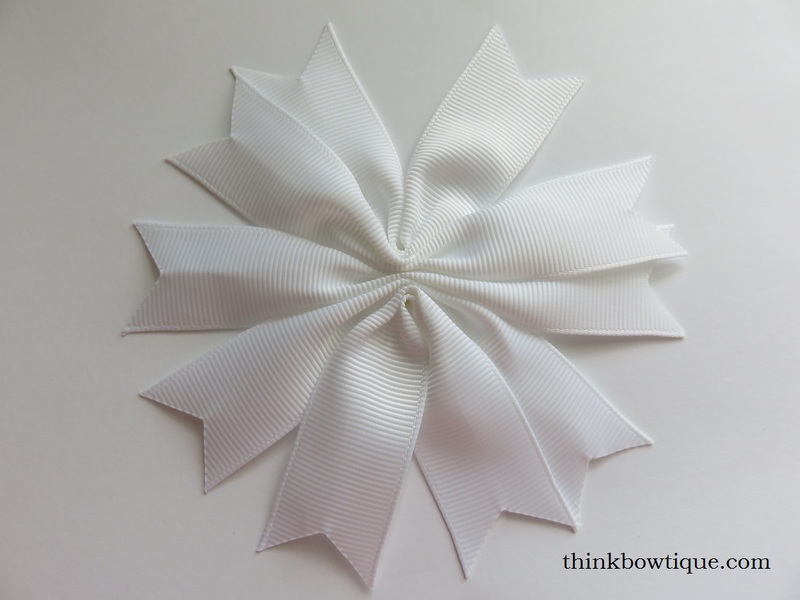 This pretty bow looks a little like a snowflake and would be nice on a soft fold over elastic headband for a Christening. 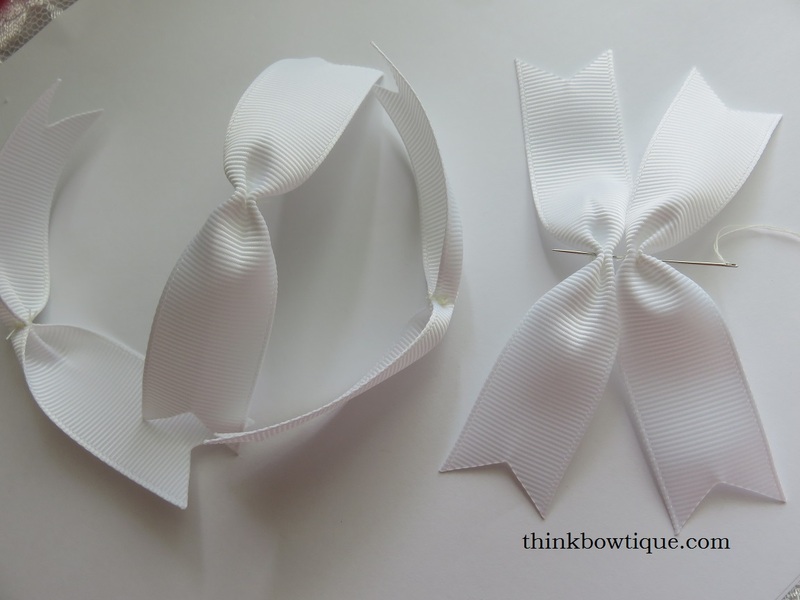 You can make it with any width ribbon you like. needle and thread with thread knotted. 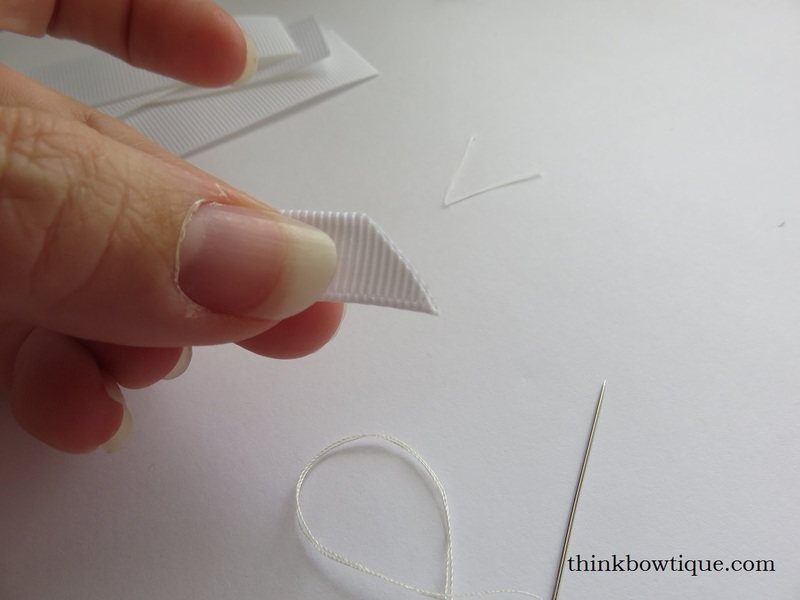 Fold the end of you ribbon in half and cut on the angle. Then seal with heat. Don’t allow the flame to touch the ribbon. Open your ribbon and you have your first v spike. 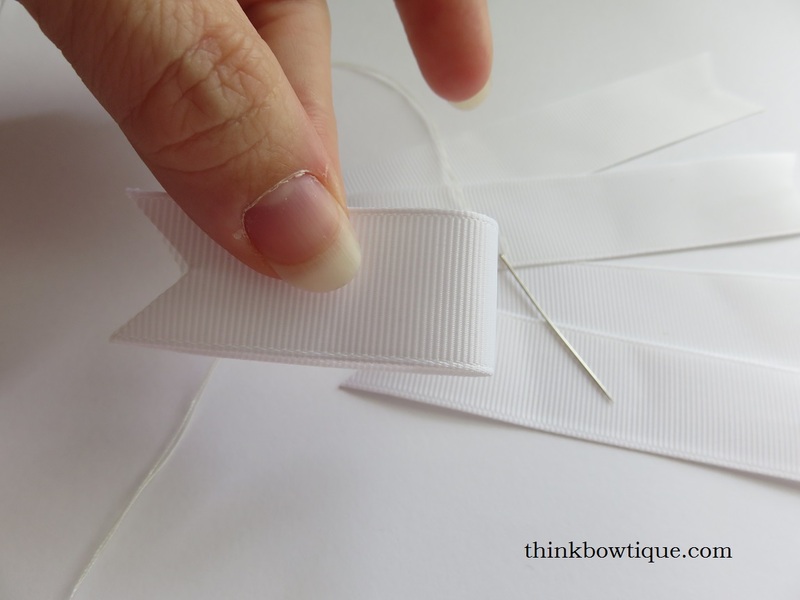 Fold your ribbon in half to find the centre. 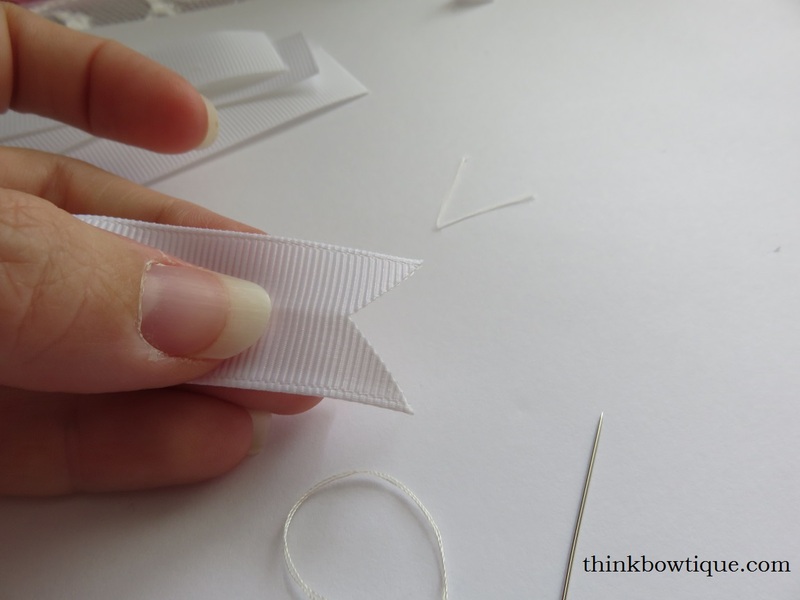 Take your need and push it through the top side of your grosgrain ribbon to create two peeks and a valley as per the below photo. Pinch your ribbon together. 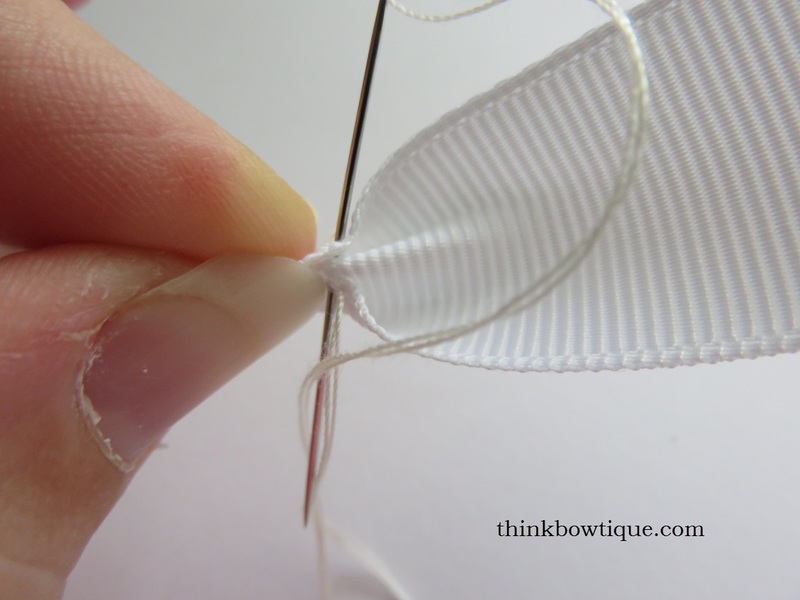 Pull your thread through and tie off and knot to hold the pinched ribbon. 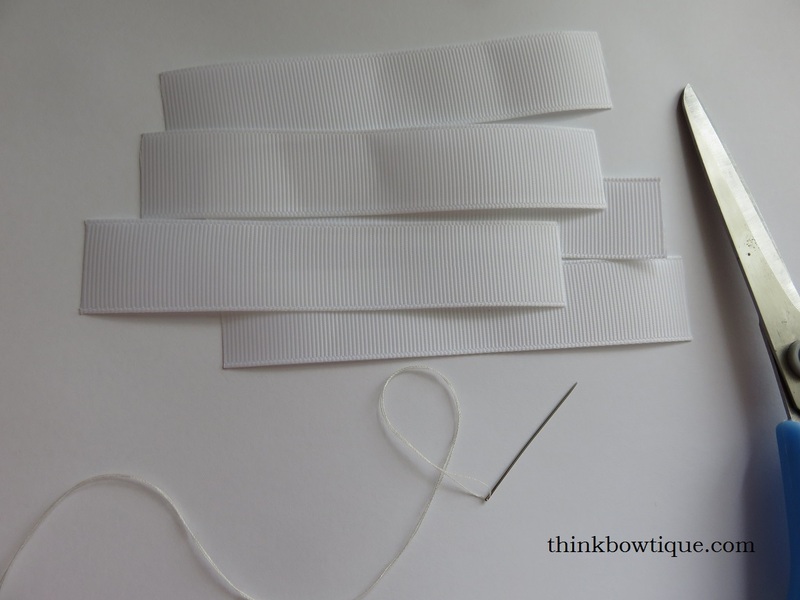 Continue with all 5 lengths of grosgrain ribbon. 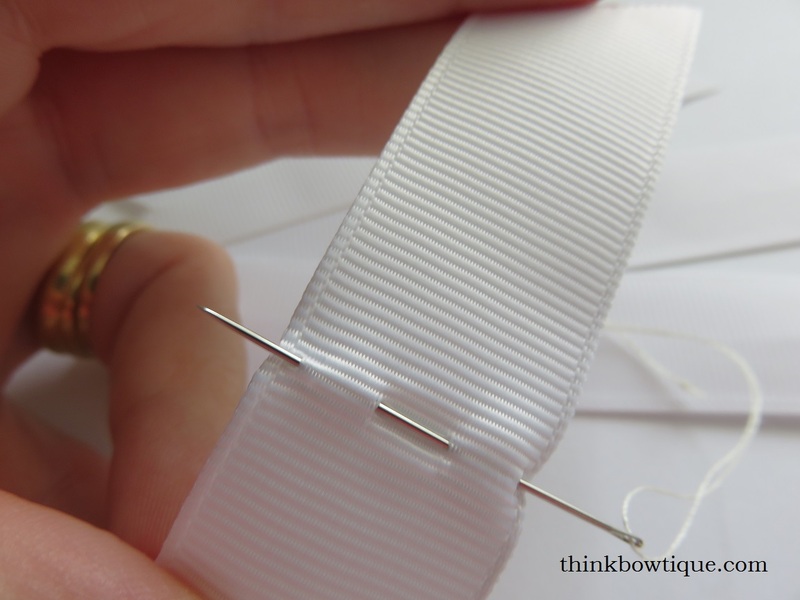 Then sew each centre pinched ribbon together and tie off and knot. 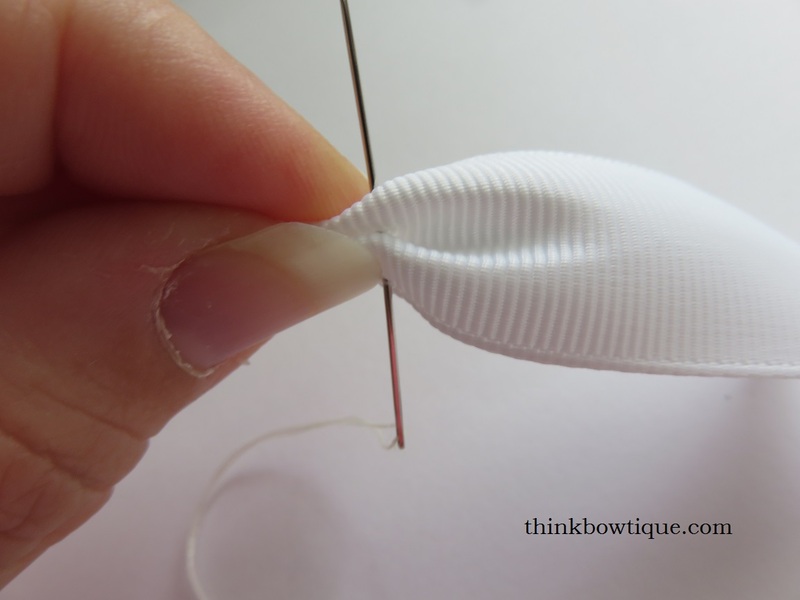 You may need adjust the centre and pinch out along the grosgrain ribbon. Once your have it sitting how you like. Spray with starch fabric spray and bake at 110° for 25 minutes leave in oven to cool. 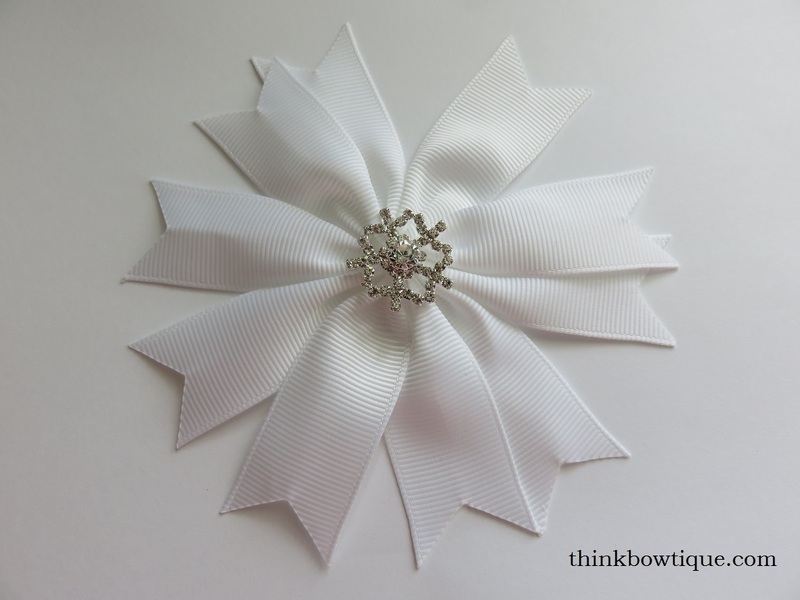 This will stiffen and hold your ribbon in place. When making a layered bow I like to make the spikes a different way to this bow. 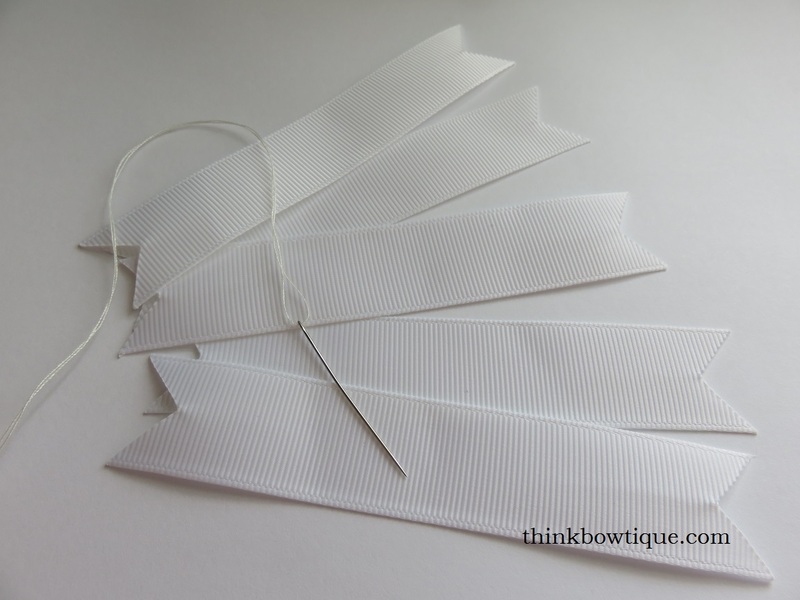 If you would like to see how I make a spike bow for a layered bow read our post on how to make a twisted boutique bow.